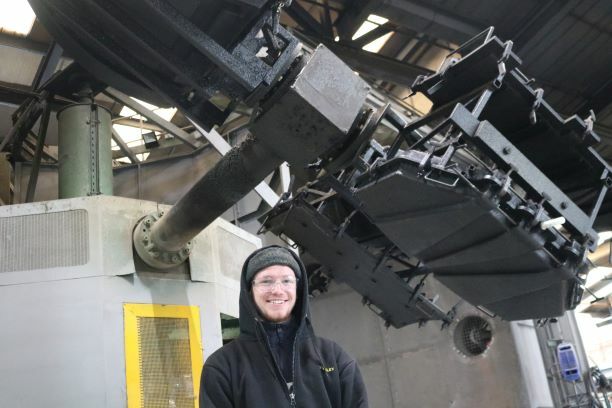 A family run tank manufacturing business based in Uttoxeter, Staffordshire. 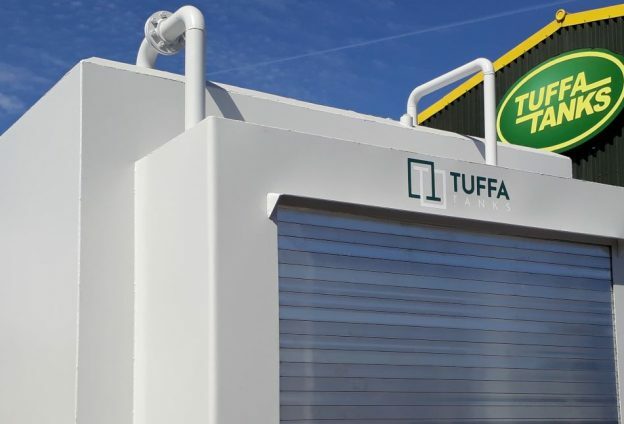 Tuffa UK’s mission is to produce a quality range of innovative tanks designed for safe, secure, clean and convenient fuel, chemical and water storage whilst protecting the environment and providing the highest levels of service for our customers. Tuffa Tanks is an established Original Equipment Manufacturer (OEM) with many years’ experience producing industrial, commercial and domestic bulk liquid storage tanks. We are proud of our heritage, innovative design and manufacturing skills. Offering bespoke products with an excellent after sales service, we take pride in putting our customers first. 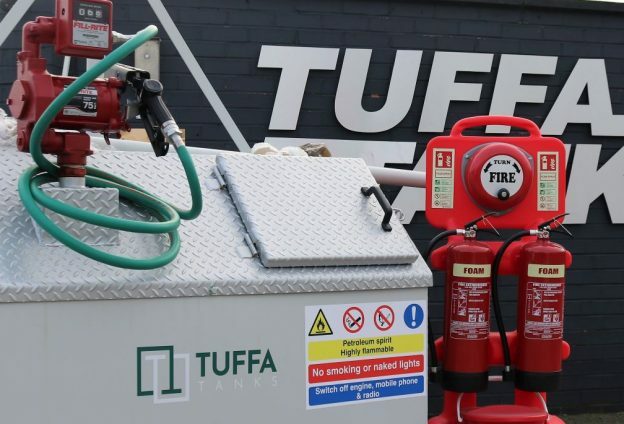 The TUFFA® range of products is extensive and diverse setting us apart from our competitors, as we can manufacture items to client’s specifications, offering technical support and advice to customers. We can provide liquid storage in Plastic and Steel from 1,350 litres and produce a roto-moulded tank of 20,000 litres in a single unit. Its design enables it to be interlinked up to 100,000 litres for maximum storage for any bulk liquid. Tuffa Tanks are designed in the interest of pollution control. 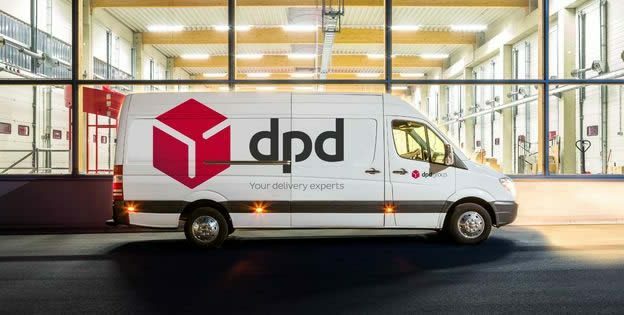 They comply with Environmental Agency Guidelines, and are manufactured to European Standards and depending on the application, Building Regulations. The Fire Protection range of tanks has Local Authority Building Control (LABC) system approval for domestic and non-domestic applications up to 60,000 litres with up to 2 hour Fire Protection. 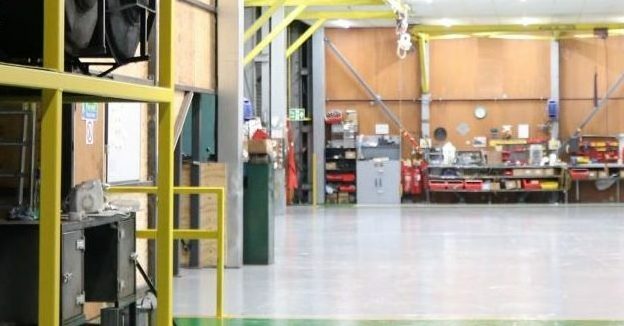 We have an unrivalled after sales service and are a leading innovator at the cutting edge of tank manufacturing. Liquids require storage that is secure ensuring compliance with environmental standards. 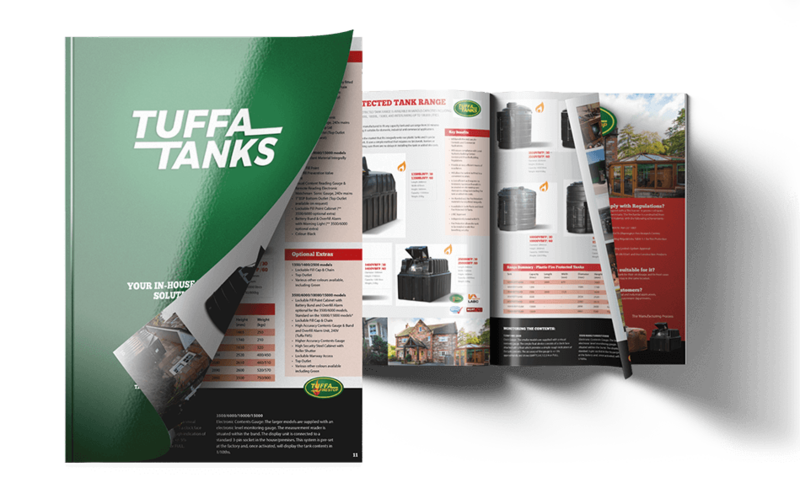 Tuffa UK specialises in the design and manufacture of tanks tailor-made for the product to be stored, with a suitable method of dispensing for the site conditions. 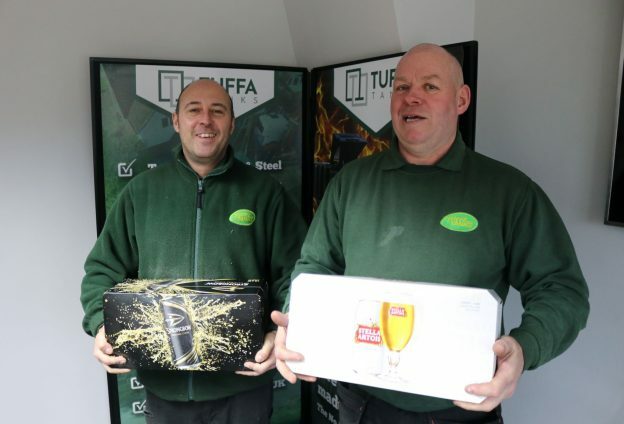 Tuffa’s customers have made good use of our high specification capabilities to meet the most challenging tasks. Working from a Material Safety Data Sheet (MSDS), Tuffa can provide a tank solution that matches the characteristics of the product. The design specification can also include fitment of a variety of types of equipment and fire rated options. Tanks can be bunded and include fire protection which make them suitable for installation where an unprotected tank would not meet Building Regulations. 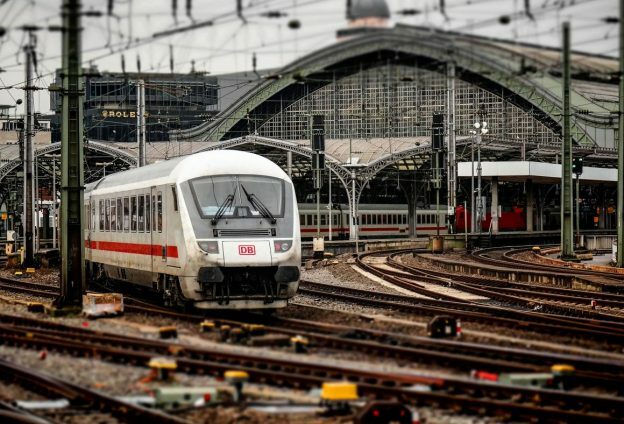 In addition to moulded tanks Tuffa can provide tanks in steel, including stainless steel, where the contents present severe corrosion challenges; these are particularly suitable in the chemical sector. We also manufacture a combined plastic and steel tank giving greater protection on sites with security or vandalism issues. 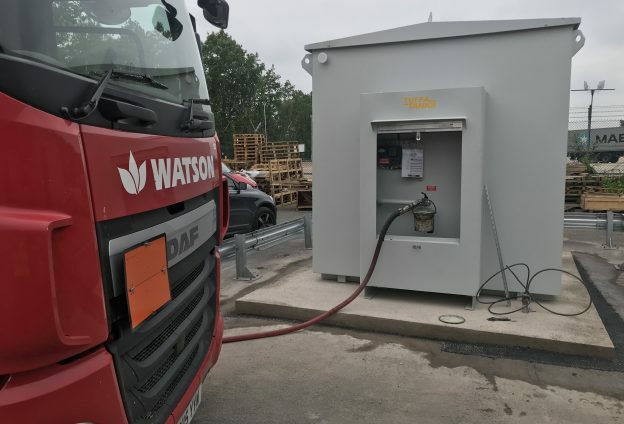 Optional features built into the tank’s design to increase safety and ease of use can include Armco barriers, lockable access, product metering management and for hazardous sites, steel shielding to protect the tank from site damage. Tanks can be coloured to match site requirements or to clearly denote their contents. Other optional features include remote stock control management and telemetry. In addition, we have worked with the production company of the BAFTA award-winning film, Philomena, to re-create vintage steel bath tubs for their set. According to the International Organisation for Standardisation, the ISO 9001: 2015 is based on a number of quality management principles including a strong customer focus, the motivation and implication of top management, the process approach and continuous improvement. ISO 9001 helps ensure customers get consistent, good quality products and services. 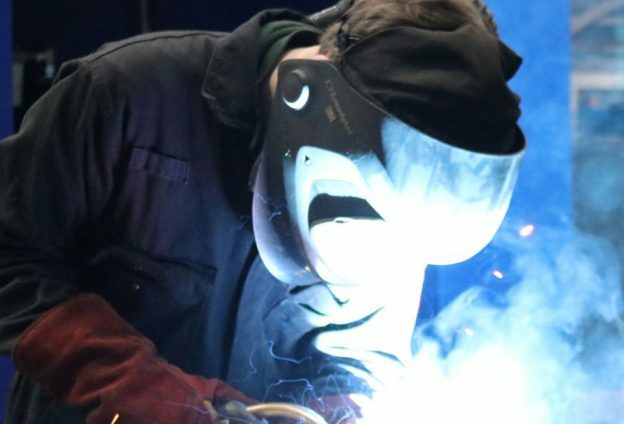 Browse our website and you will find a vast selection of liquid storage products, including plastic oil tank solutions and steel tanks engineered with pollution control at the forefront of the design. Tuffa was the first company to introduce submersible pumps in its tanks – a hugely successful and sustainable innovation. 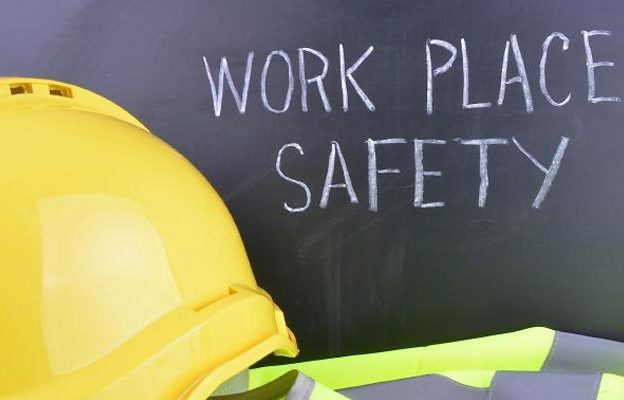 We’ve worked with national and international clients, including oil companies, factories & shops, offices, local government, the transport sector, schools & universities, hospitals, farms & agriculture, charitable organisations, churches & historic buildings, water authorities & grounds maintenance and many others. Whatever your industry or sector, we can help you with steel and plastic tank solutions. Save over £1000 on an ex-display petrol tank bundle!